Hey, do you need another incredibly infuriating thing to add to your life? Great! 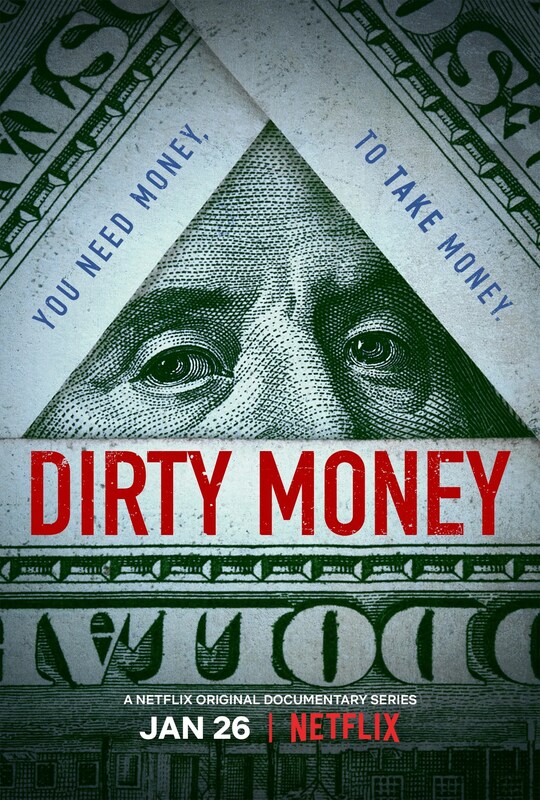 Because Netflix’s new documentary series Dirty Money just released its first incredibly frustrating trailer (unless you belong to the 1%, of course). Alex Gibney, the Oscar-winning director behind such explosive documentaries as Enron: The Smartest Guys in the Room, Zero Days, and Going Clear: Scientology & the Prison of Belief, to name just a few, is the mind behind this exploration of corporate greed, corruption, and the legal loopholes that keep the immoral and the amoral out of jail and in the black. This thrilling six-part investigative series provides an up-close and personal view into untold stories of scandal and corruption in the world of business. Using first-hand accounts from perpetrators and their victims, combined with rarely-seen video footage, Dirty Money is sure to keep viewers on the edge of their seats … and very, very frustrated. Keep an eye out for it on Netflix on January 26th. HARD NOx (Directed by Alex Gibney) – Gibney reveals shocking new details about VW’s corporate deceit, and exposes the unholy alliance between governments and automakers that allowed the automaker to put tens of thousands of lives at risk — all for the sake of a $500 part. PAYDAY (Directed by Jesse Moss) – Targeting unsuspecting Americans, a group of payday lenders made millions off small loans with undisclosed charges, inflated interest rates and incomprehensible rules. But the way the laws are written, is that a crime or just business? DRUG SHORT (Directed by Erin Lee Carr) – Wall Street short-sellers expose a scam that regulators overlook: how Big Pharma gouges patients in need of life-saving drugs. THE MAPLE SYRUP HEIST (Directed by Brian McGinn) – In Canada, maple syrup is worth more than oil. When $20 million of syrup goes missing, the trail leads back to an epic battle between cartels and the little guy. THE CONFIDENCE MAN (Directed by Fisher Stevens) – A rollicking profile of the rise and reign of TRUMP Inc. Weaving together a tapestry of tales in real estate booms and busts, Stevens lays out how Donald Trump’s business career transformed from epic failures into a consummate branding machine that propelled him into office.